The EnGenius ECB350 is an ideal solution for expanding an existing network and increasing bandwidth to support additional users. This 2.4GHz Wireless-N Indoor Access Point/Client Bridge that features up to 29 dBm RF Tx (transmit) power for long range coverage, wireless speeds up to 300Mbps and a Gigabit Ethernet port for connecting to a switch or router. 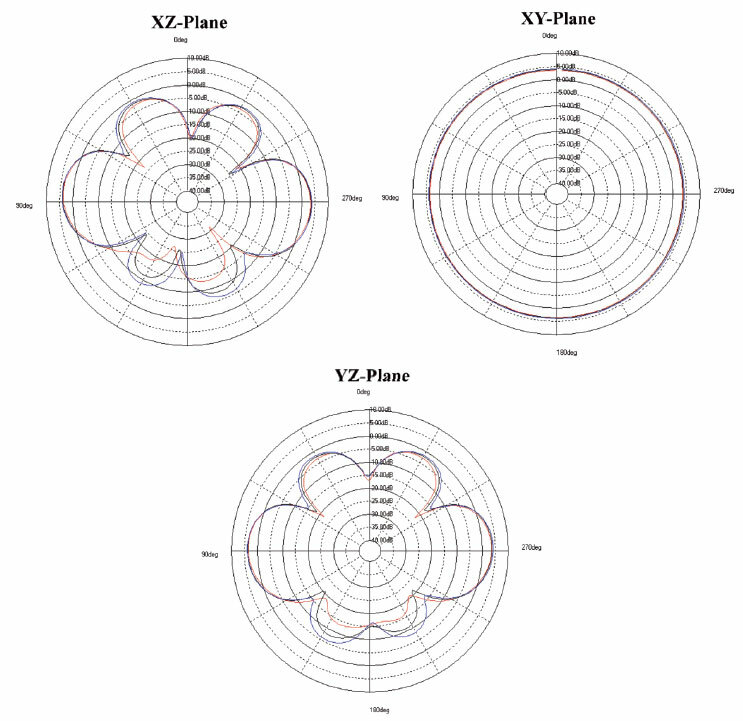 The ECB350’s robust transmit power, enhanced receive sensitivity and its MIMO (Multiple In/Multiple Out) antenna array extends wireless coverage and enhances connectivity to client devices even in areas where connections have been previously challenging or nonexistent. This capability also helps to reduce the number of Access Points needed to deploy over large properties and helps to eliminate the need for roaming clients to constantly reassociate to different APs in the building or throughout the property. 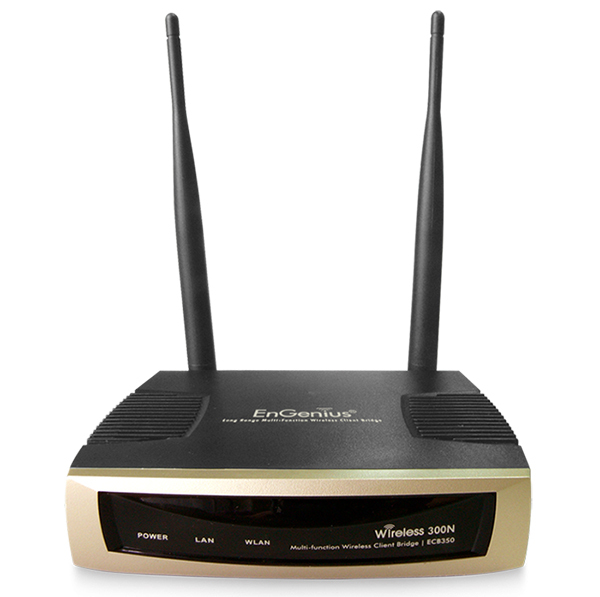 This powerful and versatile, multi-functional 802.11n wireless device features eight different operation modes (Access Point/Client Bridge/Universal Repeater/WDS Bridge/WDS AP/WDS Station/AP Router/Client Router) to meet the changing needs of evolving business environments. The ECB350 is designed for extending networks within large or multi-story buildings or expansive, client-intensive facilities like hotels, resorts, hospitals, office buildings, universities or other multibuilding campus facilities that need to offer employees, guests, staff or students access to network resources likeprinters, content or the Internet. The ECB350 includes EnGenius Zone Controller Access Point Management software that provides a robust suite of tools for IT managers, installers and network administrators who deploy, manage and maintain wireless networks. With Zone Controller, EnGenius Wireless Indoor and Outdoor Access Points and Client Bridges can be configured, controlled and monitored from one central location. 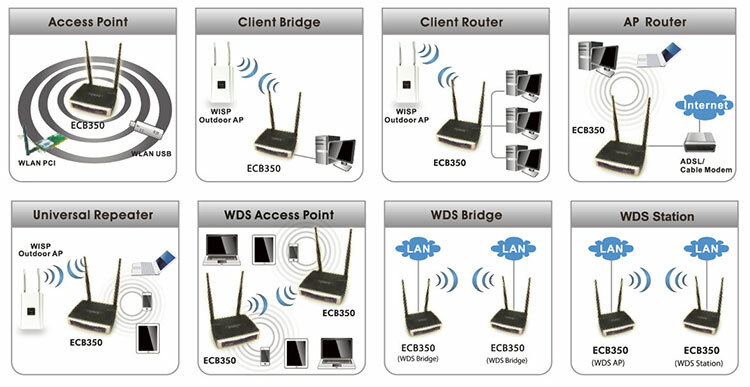 Offers multiple operation modes for different network topologies. 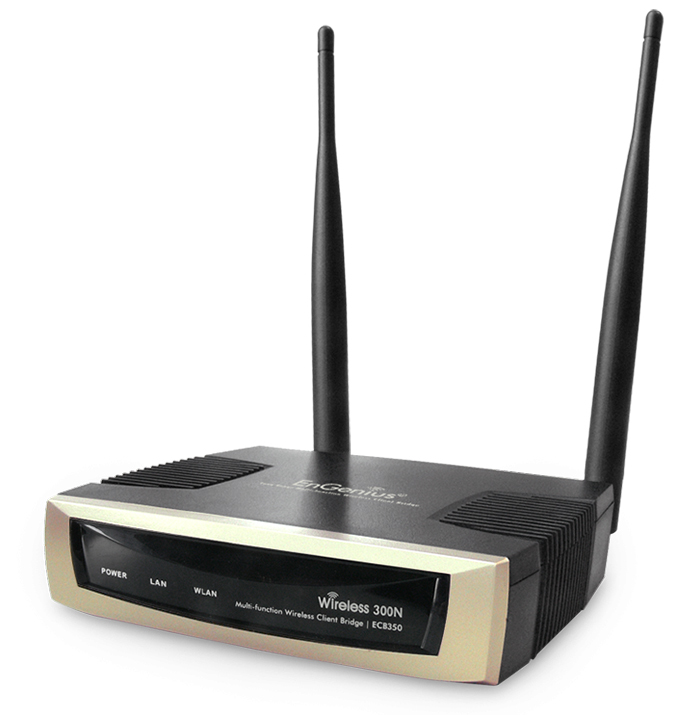 Supports Power-over-Ethernet (IEEE 802.3af) and enables deployment in ceilings and other areas where power outlets may not be available. 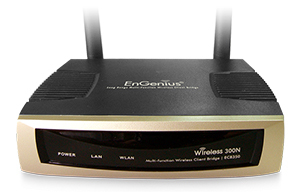 Download the EnGenius ECB350 Datasheet (PDF).